The radio spectrum is a subset of the electromagnetic spectrum. It extends from frequencies below 1 Hz up to around 3000 GHz or 3 THz, where it gives way to the infrared spectrum. 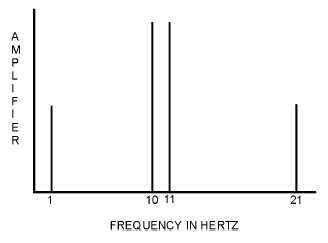 Different frequencies have different uses because of different propagation, generation and general properties. The radio spectrum is divided into many different bands. The bandwidth, spectrum and sidebands are of great importance when using frequency modulation. The sidebands of a frequency modulated signal extend out either side of the main carrier, and cause the bandwidth of the overall signal to increase well beyond that of the unmodulated carrier.